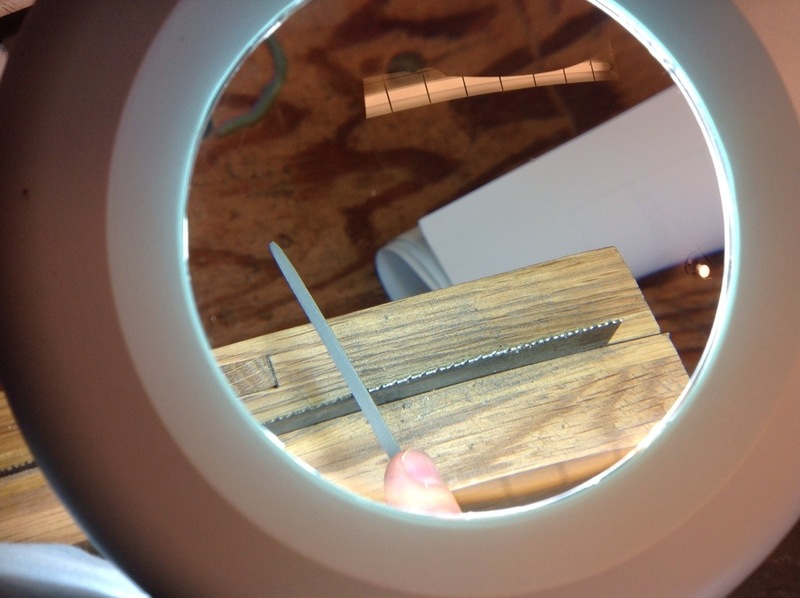 While sharpening a saw several days ago I found myself struggling to place the file correctly and managed to skip some teeth and resharpen others. Not sure if it is because of incorrect lighting or need to upgrade my glasses prescription. 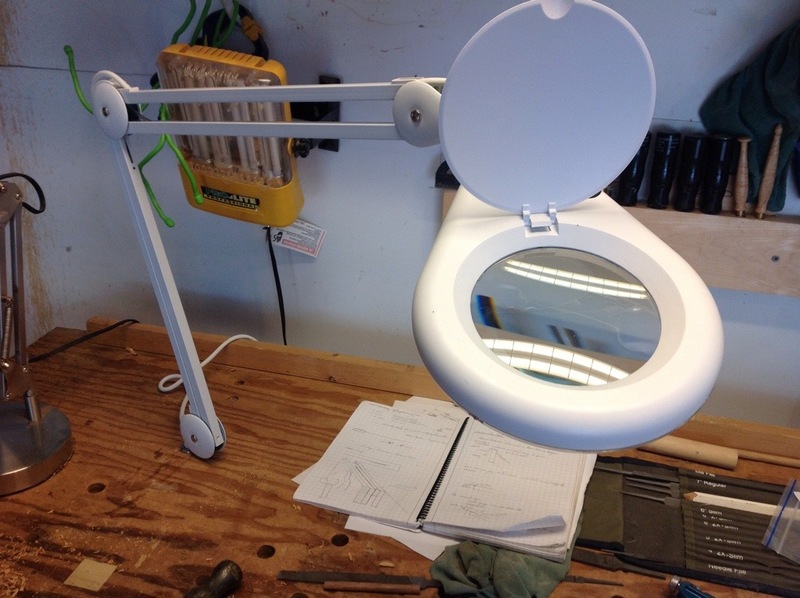 Looking around the local stores I found some magnifying lights that looked promising, what did not appeal to me was the price tag, generally they ranged from 80 to $150. Sitting in front of my computer I found the same light at Lee Valley for considerably less, they even sold a bushing so I could mount it right to my bench. Sharpening my next saw took considerably less time with much better results. I tried one of those for a while. Not enough light or magnification for me. I finally went with an Optivisor and a task lamp, that proved to be much better setup for me. Another thing that really helps me to keep track of which teeth have been filed, is to coat the teeth with Dychem layout fluid, before jointing. It really makes the flats standout, and as you file the teeth, the Dychem comes off, so you know they are done. The more I work and the older my eyes get I think something like that will be in my future too! Seems as if joinery and carving is getting more difficult to focus on! I’ll check out the Lee Valley catalog — thanks.